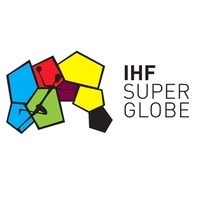 Two outstanding goalkeepers, who had already created a great show in the direct duel in the Olympic semi-final France vs Germany, were the keys for debutants Paris Saint-Germain and defending champions Füchse Berlin to make it to the IHF Super Globe Final in Doha. With a brilliant percentage of 46 percent saved shots Thierry Omeyer was the cornerstone for Paris to take revenge for the semi-final defeat at the VELUX EHF FINAL4 in May at Cologne as PSG beat VELUX EHF Champions League winners Vive Tauron Kielce in the Super Globe semi-final on Tuesday. And Silvio Heinevetter was like a wall for Füchse during their win against tournament host Al-Sadd from Doha. Thus, two teams located in European capitals will fight for the Super Globe trophy on Thursday (19 hrs local time), while Kielce face Al-Sadd for the bronze medals before (17:00). Even the absence of VELUX EHF Champions League top scorer Mikkel Hansen, who was banned for the semi after a direct red card in the quarter-final against Tunis, did not stop PSG against Kielce. “It was a great match of two great teams and we are absolutely happy to make it to the final. The defence was the key to success, but the match also showed in which departments we need to improve,” match winner Omeyer said after the 29:25 (13:12) win. Even a strong start and an impressive performance of newly signed Croatian goalkeeper Filip Ivic were not enough for Kielce to stop PSG. By forging ahead to 18:14 and 21:15, the French champions decided the encounter, mainly by counter attack goals of their new arrival Uwe Gensheimer. The German international again was Paris’ top scorer with eight strikes after ten goals in the quarter-final. Gensheimer now will face his fellow national team players Heinevetter, Paul Drux, Fabian Wiede and Steffen Fäth in the final. Another wing player imprinted Berlin’s dominant 32:26 (15:12) victory against Al-Sadd: Danish Hans Lindberg, who showed his by far best match since his transfer to Füchse in January. Lindberg scored ten field goals from ten attempts to be the top scorer of the match. Until minute 45 and the score of 20:23 Al-Sadd were quite close, mainly thanks to the in total 13 saves of their goalkeeper Darko Stanic, but then the Qatari resistance was broken by the defending champions.